"We are very pleased with our BW Baker home! We lived in the Houston area, so we could not be here to monitor and oversee the home construction. Bruce and his team were excellent! From Brenda's insightful design advice to Larry's attention to detail to Bruce's calm, thorough approach, we felt like we were in good hands. We came to them with barely even a plan and ended up with a beautiful custom home. They were receptive and responsive to our ideas, and they asked lots of questions. The finished product is "our house," the one we planned from the ground up -- and we couldn't have done it without Bruce and his team holding our hands every step of the way. If we decided to build another house tomorrow, we would call BW Baker without a moment's hesitation." "The building of our "home in the hill country" was a completely enjoyable experience, and we are thankful to the BW Baker team for making it so pleasant. Bruce operated with expertise and integrity to offer exceptional value with no unpleasant surprises; Brenda provided creativity, attention to detail, and product knowledge to make a home that is aesthetically pleasing to us; Larry was a reliable and experienced supervisor who communicated effectively with us at each stage of construction. Each member of the team contributed helpful insights and suggestions at every stage, and we appreciated them so much. We were also impressed by the relationships they had built over the years with subcontractors, as well as their reputation in the community. All of these factors combined to give us the best homebuilding experience we have ever had. 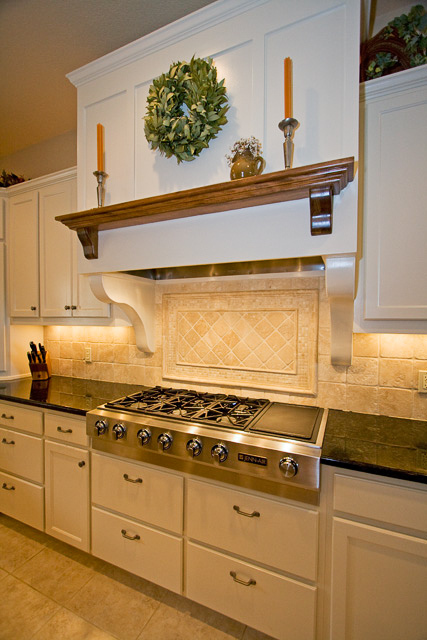 Needless to say, we highly recommend BW Baker at any opportunity!" "Bruce is an excellent home builder and has a great team. Larry and Brenda are absolutely wonderful to work with. I think the world of all of them. Bruce's subcontractors are very reliable and do exactly what they are supposed to do. I highly recommend BW Baker Builder. I am very pleased with the whole process and my new home!" "We came to Boerne to find property on which to build our retirement home. We got lucky, found the property, and met Bruce, Larry and Brenda of B.W. Baker Builder, Inc. We lived in Houston during the construction, but Bruce, Larry, and Brenda made it the easiest thing we have ever done. Our families became close friends and Teegie and I enjoyed watching Bruce, Larry and Brenda's children grow up and become fine adults. 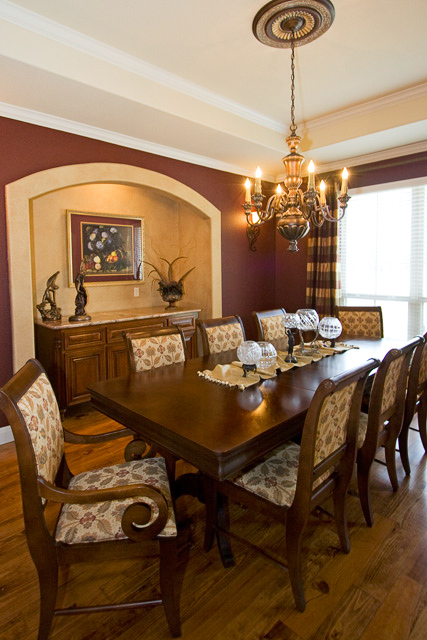 During the past 18 years, we have built several homes with the fine folks at B.W. Baker Builder, Inc. Honesty, caring, integrity, a Christian background, and just great people is how Teegie and I would describe Bruce, Larry, and Brenda. Wonderful and enjoyable to work with and know." "Bruce, I want to express my appreciation for the support of everyone at B.W. Baker through this past eight months. Now that the building of our home is complete, Carol Anne and I marvel at the way the project came together. I must confess to having a bit of trepidation when faced with the task of building our first custom home. It took only a short while for me to realize your company is comprised of people who are truly our advocates. I soon discovered your subcontractors were every bit as interested in the final quality of our home as you and your company. I very much enjoyed working with your team of subs. I can honestly say that on every single issue that arose, your company took the high road and insisted on the highest quality of workmanship and materials, regardless of the impact on your bottom line. The very highest level of praise is reserved for Larry Marbach, your Vice President and construction manager. Larry was always several steps ahead of me with my myriad of questions and concerns. He built this home as though his mother was going to be living here! Larry is a true gentleman and artisan in building." 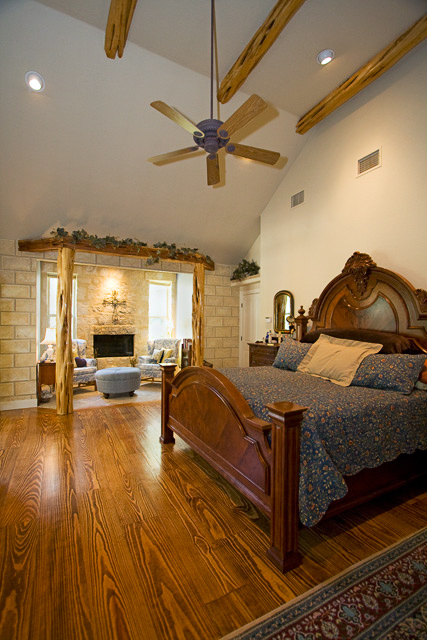 "When we decided to build our custom home in Boerne, we researched many builders and were impressed the most by B.W. Baker Builder. Bruce, Larry, and Brenda made it easy for us especially since we lived in another state and were building long distance. 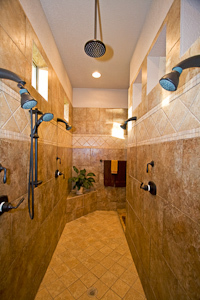 Their work is high quality and they kept us informed and feeling comfortable during the entire building process. We would definitely recommend B.W. Baker Builder to anyone who wants a beautiful custom home." "Bruce and his team were fantastic to work with during the building of our home. They were very responsive to our needs and accommodating of any changes or ideas we had. While they did their best to make sure everything was the way we wanted it, they always made sure we understood the costs and trade-offs involved. Larry knows pretty much how everything is done and always found the best solution for the situation. The sub-contractors were outstanding and professional in every respect. There was a set of stairs that did not fit the way the plans indicated and the carpenters rebuilt them and adjusted the ceiling to make it fit perfectly. We had several other contractors working on different aspects of the property and Bruce worked them into his schedule as if they were part of his team. This coordination with contractors not under his authority (or contributing to the completion of his project) was highly appreciated. All of this was done in an open, friendly, personal and very professional manner."